Jocelyne arrived from the Department of Health and Social Services (DHSS) where she has worked for the last four years in Aboriginal Health and Community Wellness in Yellowknife. She has worked in a variety of areas in health promotion, cancer strategic initiatives and community wellness. Currently attending the accelerated nursing program at the University of British Columbia, Jocelyne is interested in trauma-informed, culturally safe care and how it applies to a nursing education and practice. At ICHR, Jocelyne was analyzing the qualitative data of a Primary Care Survey in Nunavut and Northwest Territories. 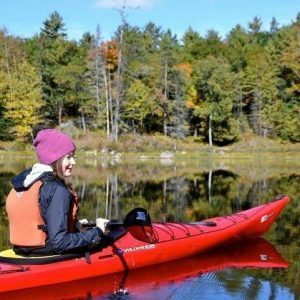 Jocelyne believes in the healing and therapeutic effects of spending time in nature as demonstrated by her multi-sport outdoor pursuits, paddling under the Midnight Sun and skiing under the Northern lights.